With one or more autumnal Apple events on the horizon we turn our thoughts not only to what Cupertino has in mind for the iPhone and iPad, but the direction the next generation Apple TV might take. We’ve already issued some ideas on what a future Apple TV might be in regard to a content delivery system as well as a HomeKit hub, but as much fun as it is to play guessing games with Apple’s engineers, it’s also worthwhile to stop and appreciate what advantages the Apple TV offers now over another set top box such as the Roku 3. While I have each device, I see areas where the Apple TV outpaces the other. Although the Apple TV offers solid sound (sometimes solid 5.1 surround sound, depending on the source content) via its HDMI or Optical Audio ports, you’re not confined to playing sound through the system wired to it. 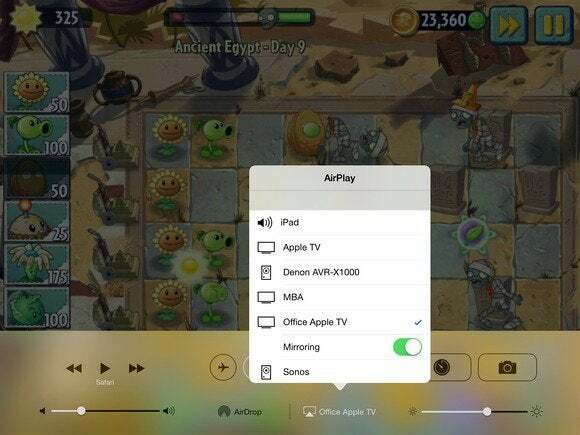 With Apple’s AirPlay technology built in, you can stream its audio to any AirPlay-compatible device (though, regrettably, not to multiple devices). 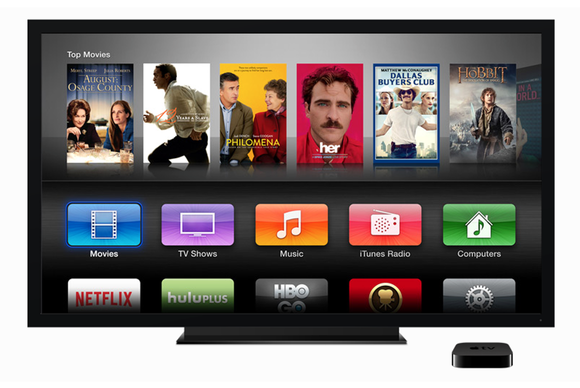 Today’s Apple TVs also have the ability to mirror the interface of recent iOS devices and Macs. This can be a great way to play iOS or Mac games on the big screen as well as any media these devices hold (including slideshows). But it’s a business-friendly feature as well. With an Apple TV in hand and access to a wireless network, you can set up a presentation broadcast from your iPad to the company HDTV in a matter of minutes. With AirPlay you can mirror your Mac's or iOS device's screen to an Apple TV. If you want to play iTunes media the Apple TV makes it easy. Simply log into your iTunes account when setting up the Apple TV, fire up your computer’s copy of iTunes on the same network used by the Apple TV, and you can play not only the music, videos, and podcasts stored in your iTunes library, but also stream purchased (or free) content from the iTunes Store. Roku supports the powerful Plex media server and with it you can play a lot of the media in your iTunes library (and elsewhere). However, it’s more complicated to set up than the Apple TV/iTunes relationship and it can’t play iTunes protected media. Given the over thousand (and growing) channels offered by Roku it’s hard to claim that Apple’s selection of 30-plus channels are in any way competitive. However, you can make the case that when Apple adds a channel, it’s a worthwhile one. Who could complain about the inclusion of Netflix, Hulu Plus, HBO Go, Showtime, MLB.TV, YouTube, and Vimeo? Roku offers a ton of channels, but a lot of them aren’t worth installing, much less watching. The Apple TV may not have the most channels, but the ones it has are solid. That said, the lack of Amazon Prime and Pandora on the Apple TV is a glaring omission (though understandable given they compete with iTunes). As much as people complain about the Apple TV’s home screen becoming cluttered with the addition of new channels (though you can hide them individually), I prefer the one-screen approach to Roku’s lazy-Susan carousel. Apple’s control over the whole experience—from hardware to software to content—can be limiting in some ways, it does allow the company to push experiences it controls to devices it owns. In regard to the Apple TV this means Apple can offer its outstanding iTunes Festival concerts to Apple TV owners for free. And if you’re interested in every move Apple makes, you can tune into its keynote presentations and press events as they happen. 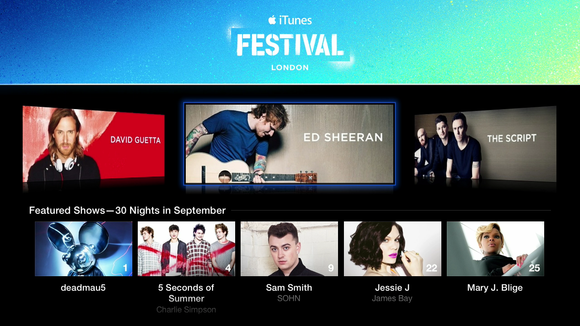 You won't find iTunes Festival on your Roku box. Yes, we maintain our hope that Apple will do far more with the Apple TV—add channels, open an App Store so we can play games on it, use it to control the smart devices in our home—but in the meantime, it’s not a bad little box for work and play.